Panic is spreading across Asia as Britain shocked the world with its vote to leave the European Union. Stock markets are bleeding red. 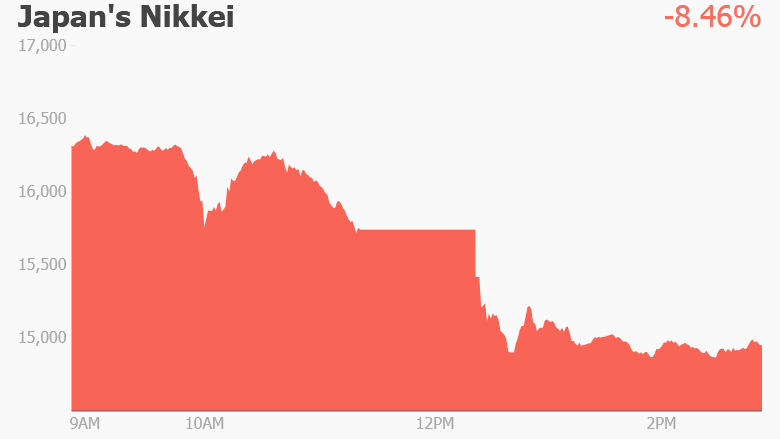 Japan's benchmark Nikkei took the biggest hit, closing with a 7.9% loss. Shares in Hong Kong and Australia slumped about 3%. The British decision to leave the union surprised many investors, who are now finding themselves in uncertain territory. It's a move that could damage important trade links and business ties between the U.K. and Asia. 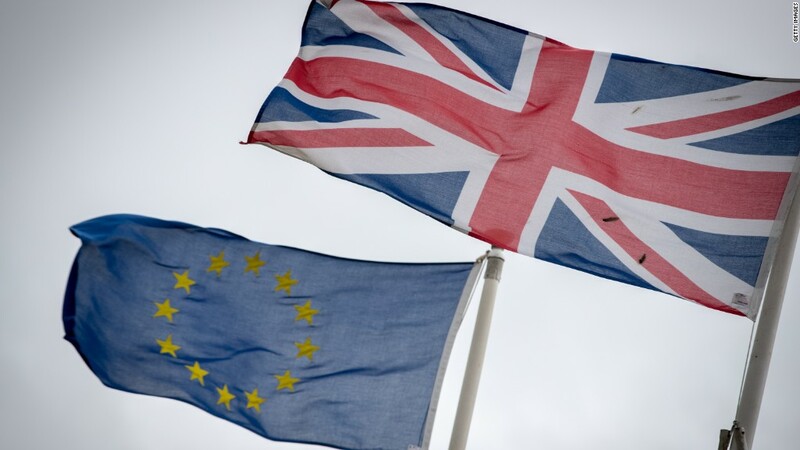 Firms with a major U.K. presence -- from banking to autos -- could choose to move their operations out of the country in search of better access to the rest of the European Union. Asian companies with sizable British operations are already feeling the pinch. Top Japanese automakers Nissan and Honda own and run some of the U.K.'s largest car factories, and both plunged nearly 9% in Tokyo trading. Regional currencies are also being hit by the volatile trading. Japan's yen strengthened against the dollar, as investors scrambled for ways to safeguard assets. The yen has already been rising in recent months, worrying officials. The gains are bad news for Japanese companies, as a stronger currency makes exports more expensive, hurting competitiveness. Finance Minister Taro Aso called Friday's market movements "extremely nervous," noting that the government was watching closely for developments and ready to intervene if necessary. China's yuan has also dived to its weakest level in five years. It's now hovering around 6.61 against the dollar. Chinese President Xi Jinping had previously urged the U.K. to remain within the European Union. But the impact overall to China should be fairly limited -- the country remains closed to financial markets, and its exports to the U.K. account for a small portion of the economy. China's large foreign reserves also means the government could support the yuan if it were to fall precipitously, said Chang Liu, China economist for Capital Economics, before the U.K. voted to leave. The South Korean government called an emergency meeting Friday to discuss how to stem a fallout from the so-called Brexit decision. India is "well-prepared to deal with the short and medium term consequences of Brexit," said Arun Jaitley, the country's finance minister. Indian exports to the U.K. are equivalent to less than 0.5% of India's economy, and even a sharp decline in demand from Britain is unlikely to dent domestic growth by much.